If you are unable to see the video above, then you may need to adjust your browser settings. Fort Mill Dermatology, LLC is located near the Fort Mill Public Library in Baxter Village at the crossroads of I-77 and SR-160 (SC I-77 exit 85). 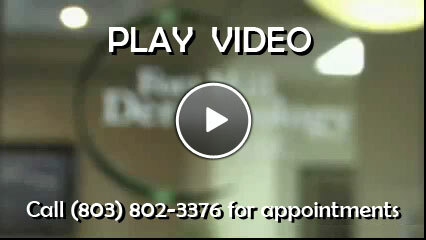 We specialize in medical dermatology provided in an inviting and comfortable atmosphere. Our services include treatments for skin cancer, psoriasis, acne and other skin and nail diseases. We utilize state of the art electronic medical records system (EMR) for accurate documentation of diagnosis and treatment. We know your time is valuable, so we provide forms and information here on our website, including a new new patient registration package. We don't overbook, so barring emergencies, wait time in our comfortable lobby is usually less than 10 minutes. You may not have time to pick up a magazine! We transmit prescriptions directly to pharmacies for accuracy and they are often ready and waiting by the time you get there. 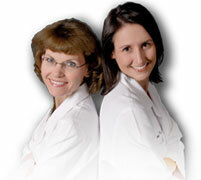 Our physicians are experienced Board-Certified Dermatologists. In 2006, Rebecca L. Smith, MD and Julie P. Iannini, MD moved their dermatology practices from Charlotte, NC to this location just a few miles south in the Tega Cay/Fort Mill area. Both of our doctors are national speakers who keep up with the latest treatments and medications for skin and nail diseases. Dr. Smith is the only SC physician who has been awarded Top Doctor of Charlotte multiple times by Charlotte Magazine, as voted by doctors in the Charlotte area. Fort Mill Dermatology received the Top of the Times Award and was voted best by readers of the Fort Mill Times. We have also been awarded the Angie's List Super Service Award multiple times. We take pride in the care that we provide for our patients. Our philosophy is simple... Provide a friendly and comfortable environment for exceptional dermatologic care. COME SEE US IN BAXTER VILLAGE! After construction of our office in the Magnolia Building was completed in November 2006, our physicians moved from their former Charlotte, NC practices. Come visit us in Baxter Village, just a few miles south of the former offices. If you would like to schedule an appointment with Dr. Rebecca Smith or Dr. Julie Iannini, please call us at (803) 802-3376. We look forward to seeing you! We hope you find this website helpful and informational. Please contact our webmaster with any comments or suggestions that would make this website more friendly or useful. 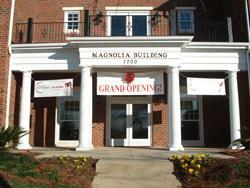 JUST 5 MINUTES FROM CAROWINDS... WE ARE LOCATED IN THE MAGNOLIA BUILDING IN FORT MILL'S BAXTER VILLAGE. What does it mean to be "Board Certified"? Is it important and how do I find out if my doctor is board certified?